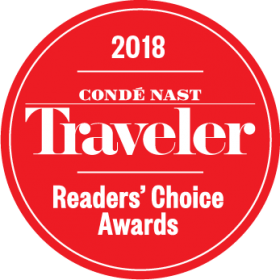 Bradley International Airport is delighted to have been voted 3rd Best Airport in the U.S. by Condé Nast Traveler’s 2018 Readers’ Choice Awards. They jumped up two places on the list, having won the 5th Best Airport in the U.S. in 2017, with nearly half a million Condé Nast Traveller readers submitting a recording-breaking number of responses. "We are thankful that the support of Bradley’s loyal, growing passenger base has again earned us a spot in the list of top ten U.S. airports, and we’re especially pleased with the improved ranking this year", said Kevin A. Dillon, A.A.E., Executive Director of the Connecticut Airport Authority.